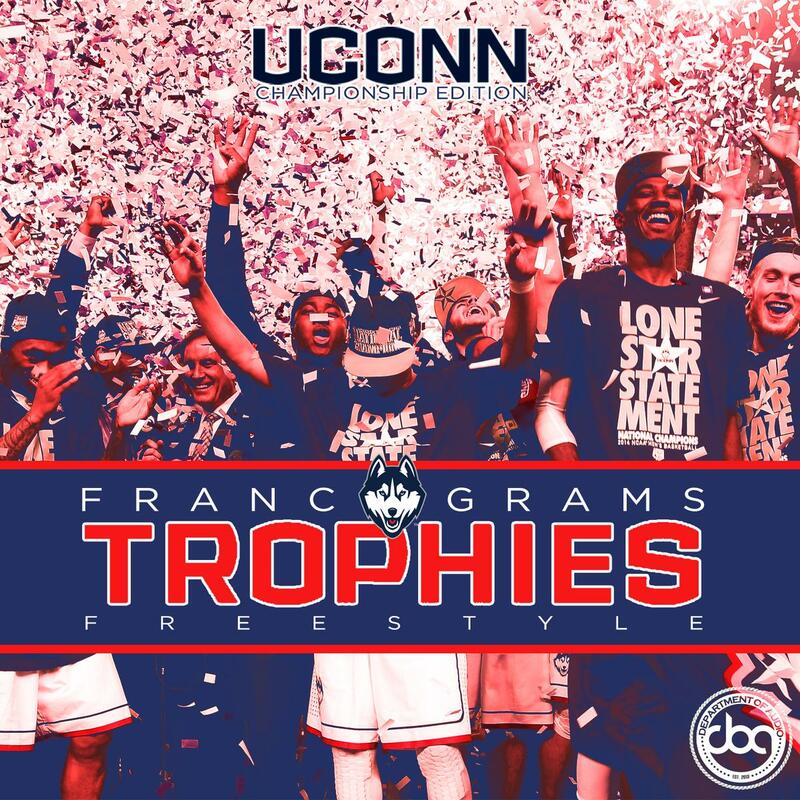 Franc Grams' home team, the UCONN Huskies just took the NCAA championship, and the rapper is celebrating the victory with a freestyle over Drake's "Trophies". The results are fittingly triumphant, with Grams trying out some Migos-esque triplet over the blaring horn sample, interpolating Drizzy's "We Made It" in the process, as well as putting his own spin on the hook. The last thing we saw from Franc was his video for "Freedom", as well his propulsive track, "What Y'all Want". Don't expect him to slow down anytime soon. If you're a Huskies fan, make sure to play this for the victory parade set for tomorrow.